Blac Chyna's mother, Tokyo Toni, has apparently found love as she recently shared on social media that she is engaged to be married. In the same breath, she directly addressed her estranged daughter, pleading with her to attend her upcoming nuptials. Toni, who has been estranged from her daughter for quite some time, extended an olive branch to Chyna via a seemingly heartfelt Instagram video. "So, yes. 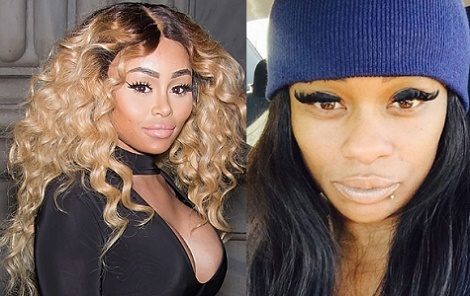 I am inviting my daughter, Blac Chyna, a.k.a. Angela, to my wedding," she said. "No matter what's going on between us, I'm going to always love my daughter. So, I do want her to know that she's about to get a stepdad [in] August." During the odd invitation, Toni went on to further reveal that Chyna is also estranged from her father, Eric. "My grandkids will have a new grandpa," she continued. "Although they do have Eric as a grandfather, but Chyna doesn't associate and he doesn't associate much with her. But, we're gonna try this thing the proper way. So, having and maintaining a great foundation as a grandma, and as a mom is very important. But my child is grown — very grown."